Quantum Biofeedback is applied through the use of an incredibly accurate system device based on the science of Quantum Physics. It is an emerging technology that reads the body at biological speeds providing results within minutes as opposed to days and weeks. Quantum Biofeedback is a technique in which people are trained to improve their health by using signals from their own body. The easiest way to really understand what Quantum Biofeedback can do is to think in terms of stresses or stressors � all those things we're born with or happen to us or that get into the body from the environment that may cause dis-ease. Quantum Biofeedback is totally non-invasive. The feedback device requires only five comfortable straps that wrap around your wrists, ankles and forehead. A quick three-minute test is performed energetically and the results are fed into the computer software. This provides the Practitioner with information about the state of the energy and stress(es) most prevalent in the body at that time. After gathering test results, the data offers an understanding of your potential needs. It can reveal the specific stressors which could be the underlying issues surrounding your body's ability to heal. It is then, that Quantum Biofeedback can be applied in order to help you correct and reduce the stressors energetically. With the ability to provide virtually instant information through a comfortable and relaxing non-invasive process, biofeedback professionals are able to address their clients stress in a sophisticated and finely tuned way. Quantum Biofeedback promises to play a significant role in the future of increasing health through relaxation for stress and pain management. What are the health benefits of Quantum Biofeedback? Biofeedback has been scientifically proven to help reduce stress and hypertension that may be related to illness, injury or emotional trauma. Quantum Biofeedback can result in an overall improved sense of well-being, greater mental clarity, pain reduction, and improved physical performance. The theory and practice of homeopathy may seem strange to those of us who are accustomed to conventional Western medicine. We instinctively sense the rightness of a healing approach that stimulates and works with us, not on us. It assists our innate biological intelligence for health. For example, when we break a bone, we don't have to concentrate on healing the fracture - it is our innate intelligence that repairs it more or less automatically. In fact, the body can heal itself of virtually any disease state if given the proper support. Homeopathy encourages and maximizes our innate biological intelligence for cure. 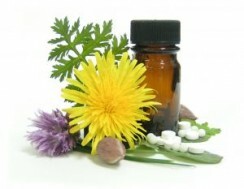 Homeopathy is the science of healing from within. Homeopathic remedies stimulate the organism toward its own state of homeostasis, or balance, which is naturally accompanied by health. Within the last hundred years we have drastically increased our toxic exposure through the use and abuse of synthetic substances. Present-day scientists have found through the study of hormesis that tickle doses, small trace doses of a toxin, can have stimulatory effects on the body. Hormesis stimulates a cell's defense system. in hormesis, the homeostatic balance is shifted and the body takes measures to protect itself.Homeopathic remedies cover a wide variety of toxic conditions including asbestos, cosmetic and beauty shop toxins, environmental toxins, industrial toxins, mercury amalgams and more. In the development of a nutritional science we find that the body does indeed need vitamins, enzymes, coenzymes, and multitude of other factors to survive, including protein, carbohydrates, fats, water, air, and exercise. In the field of homeopathy we often deal with subtle energies, but homeopathy need not always be so dilute. Many homeopathics can be utilized at low potency/high concentration to supply measurable quantities of organic material, such as vitamins, to the body.Liquitrophic remedies supply the vitamins, minerals, enzymes, alkaloids and hormones needed by the body to regulate biological activities, the liquitrophic remedies are not in pill form, but in liquid to maximie the surface area and to trigger the digestive system for absorption at the point in which it works best, the mouth. Inside the nasal pharynx area are many nerve structures running to the brain that help trigger the digestive system for maximum absorption and utilization of the remedy. A miasm is a predisposition to a disease pattern passed from one generation to the next. These inherited tendencies can produce a variety of apparently unrelated conditions. For example, if your great-great grandfather suffered from syphilis, it is possible that you could be experiencing any number of skin disorders because of his disease several generations ago. Miasms exist on very high vibrational levels, therefore miasmic formulas generally consist of very high potencies. Miasm remedies have been engineered to help stimulate the patient's body to deal with these inherited disturbances and discharge them at the most subtle vibrational level. These often act in other dimensions, and need to be dispelled through energetic vibrational medicine. Psychological Homeopathic formulas use a combination of homeopathic ingredients to help stabilize psychological conditions found in our patient population. These psychological conditions run the range of depression, anxiety, mania, etc. It must be pointed out that these patients' conditions are often complicated by other allopathic treatment that can diminish the homeopathic results.Psychological remedies are not complete therapy in and of themselves. Any type of psychological treatment should have a referral to a psychologist, counselor, or other professional trained in these areas. These remedies are an adjunctive therapy and should never be used as a primary or singular method of treatment. Many people suffer from hyper-immune cascade, an overreaction of the body that allows antibodies to accumulate, which results in hypersensitivity to specific substances. In a word, these people have allergies. It has been proven that exposing a person with allergies to small quantities of the potential allergy-causing substance can desensitize the allergic reaction of the body. Compounds that work against the allergic reaction of the body are called antigens and can be administered orally.Allersode remedies utilize four main substances in a homeopathic base and in combination with various antigens to produce allersodes for a wide variety of allergic sensitivities. A wide range of singular allersodes are also available to address specific allergies. Today we are exposed to the greatest toxic load in the history of our planet, and ongoing periodic cleansing is essential to maintain health and to avoid disease. The Ion Cleanse system, in combination with a healthy, low-stress lifestyle, provides a thorough and efficient way to maintain high energy levels and long term wellness.It may be possible to improve comfort and well-being despite a lifetime of toxic buildup in the body. The long-term effectiveness of the Ion Cleanse Vitality System depends on other life-enhancing changes that the client is willing to make. How the Ion Cleanse works: "Generating Ions"
The array goes into the water with hands, feet or body, and the control unit delivers a small direct current into the array, which causes the metals within the array, in combination with the water and salts, to generate positively and negatively charged ions by separating the water into oxygen and hydrogen. The ions generated by the Ion Cleanse create an osmotic field that pulls neutralized toxins out of the body through that portion of the skin that is in contact with the water. For the purpose of the Ion Cleanse discussions, positive and negative relate to electrical, rather than chemical phenomena. When the Ion Cleanse is set on positive, the current is being directed to the positive pose in the array, which results in more negative ions being produced in the water. Therefore, positive polarity generates a negative ion flow, which, we believe, raises blood pH from acidic toward alkaline. An ion is a charged atom that has gained or lost an electron, and creates a magnetic field capable of neutralizing oppositely charged particles. These neutralized particles are pulled out of the body through the skin via a process called osmosis, or the movement of particles through a membrane, from a lower concentration to a higher concentration. In this case, the higher concentration is the ion field set up by that array in the water. The Rejuvenation 21 plan is a highly successful hypothalamus balancing program that allows individuals to lose excess fat in a short 21 to 45 day cycle. 85% of our clients lose 16 pounds or more in the 21 days. Our educational program and individualized intake process addresses each clients imbalances to ensure that the weight stays off! Our goal is not to just help people lose weight, but to educate them on how to stay healthy for a lifetime. The benefits are immediate and drastic, which makes sticking to the Rejuvenation plan even easier. It works by essentially resetting the hypothalamas(a gland in the brain which controls metabolism). The hypothalamus, over the years, becomes overtaxed by all the toxins in the average American diet, which in turn slows down the metabolism. People typically lose approximately half a pound to a pound a day during this protocol. This is a detoxification that stimulates and corrects your body's natural ability to keep the wight off. The Rejuvenation plan consists of homepthics, enzymes, specific organic foods, and dedication from the client. Join Dayspring to learn about the lastest alternative health treatment for wight loss, that helps eliminate toxins and slows the aging process! 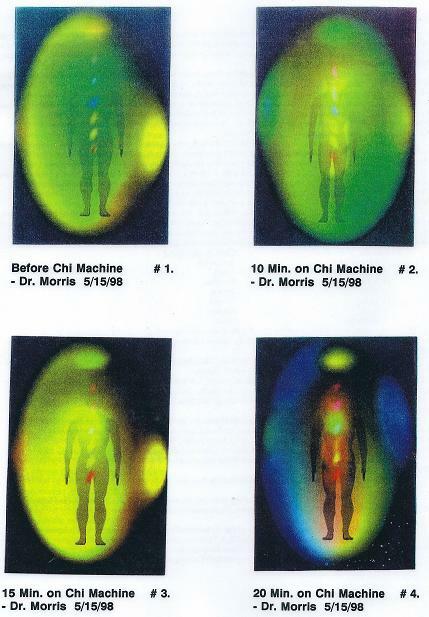 An aura is created by different energy systems existing in the body which contribute to the formation of this electromagnetic field. In addition to nerves and blood circulation there are many subtle energy pathways that exist in the body. Chinese medicine describes 72,000 main paths, which include the acupuncture meridians, the circulating blood, the spine and the nerves. The brain is the North Pole and the end of the spine is the south pole of the human energy field. The main axis is the spine, around which the electromagnetic field forms. Because the energy pathways run parallel to each other, they mutually induce and reinforce each other. The energy currents must be in phase and in harmony for this process of induction and reinforcement to be maintained. A person balanced in body, mind, and soul has a larger magnetic field.The homeostasis of the body is the primary function of the spine. Along this axis you will find a majority of the nerve points for the organs as well as the subtle power centers and chakras which can be seen as points of light along the spine. On the human physical plane, the chakras manifest themselves through the endocrine glands, which regulate all physical and emotional functions. The following shows the location of the chakras and corresponding glands. The Chi Machine can interpret disease as out-of-tune behavior of one or several organs of our body. When a strong, harmonious rhythm influences an energy field that has lost its equilibrium or rhythm, the harmonious influence can reestablish order and balance in the system. Our 2010 Dual Force Lux model spa has a total of 7 heaters far infrared heaters strategically placed for optimal detox and muscle therapy. We placed two ceramic heaters on the back wall for that deep penetration(80% of Americans suffer from back aches and pain)-two ceramic heaters on the front wall to blast your upper extremitites and one under the bench.....Carbon is a full surround heater that covers more surface area so these were placed on the left and right side of the sauna....Your head is the largest nerve ending on your body, this is why when you start to sweat you usually start on your forehead, therefore these tow large carbon heaters were strategically placed to cover your upper body while the ceramic blast your front and back.